Since the upsurge of public art in the 1980s, geographers have been critically analysing creative practices as drivers of urban development and regeneration. They have commonly framed perceptions of art in urban public space from the perspectives of its producers and planners. Yet, the fundamental purpose of public art is shaped by its publics, which comprise a multifaceted audience. Some scholars have held a brief for examining perceptions of public art through its publics, but let things go at that. This paper attempts to address this under-researched yet important field by presenting a survey of publics’ perceptions of selected public-artwork localities in Amsterdam, Rotterdam, Antwerp and Ghent. The publics’ perceptions were generally expressed in platitudes that were neither unreservedly positive nor unreservedly negative. But the distinct localities do show significant differences in publics’ perceived attractiveness of the public-artwork locality. These perceptions are further situated within publics’ cognitive, spatial, aesthetic, social and symbolic proximity to both the public artwork and its site. These empirical details provide insight into publics’ engagement with public art in particular places and thereby provide lessons for public-art-led urban planning. Moreover, this study instigates more solid qualitative research on this specific engagement. Art in public space dates back to classical antiquity and it has evidently been part and parcel of civil societies and urbanisation processes across the world. Public art is—just like public property, public good and the like—a both geographically and sociohistorically highly dynamic, contested notion in academic literature, and is therefore, not a taken-for-granted stable and known phenomenon (cf. Mitchell 1992; Kwon 2004). Generally, though, public art is a term that refers to either permanent or temporary artworks, including social and contextual art practices (cf. Lacy 1995; Kwon 2004), which are commissioned for openly accessible locations, that is, outside conventional settings such as museums and galleries (Miles 1997). Public art is peculiar in that it integrates the site as part of the content (Hein 2006), which makes the ontological nature of public art complex and contested (cf. Kwon 2004; Cartiere and Willis 2008). One can basically find as many views on public art as there are subjects in its public. In this paper, we are exactly interested in the perceptions of these ‘publics’. They are inherent in the fundamental purpose of public art. Yet, as acknowledged by Hall (2003) and Zebracki et al. (2010), the publics have generally been an unjustly neglected unit of analysis in public-art research, particularly from a human geographical point of view. These authors argue that perceptions of public art have mainly been framed from the perspectives of its producers and planners. The cultural turn in human geography has taught us that the urban landscape can be read as a text. Its interpretative epistemology has taken a very critical socio-political stance to space, place and cultural identity (Duncan et al. 2008), also with regard to public art (Hall and Robertson 2001; Lees 2001). Since the ‘renaissance’ of public art in the 1980s (Hall and Robertson 2001), geographers have critically analysed creative practices as drivers of urban development and regeneration. Urban planners assume that public art and creative environments attract people as integral spheres of experience (see also Bianchini and Parkinson 1993; Roberts and Marsh 1995; Sharp et al. 2005; Pollock and Paddison 2010). On this point, a geographical ‘art vocabulary’ (Cant and Morris 2006), being the body of terminology through which geographers endeavour to understand assorted relationships between art and its environment, is supposed to unravel “the complicated, secretively three- (or multi-)dimensional and deeply embodied experiences of making and knowing art geographically” (ibid. : 860). Yet, hitherto we have seen that the ‘grammatics’ of such ‘art vocabulary’ are elusive where the claims on public art are concerned. These claims are primarily brought forth by creators and planners of public art, and they imply a set of assumptions that have hardly any empirical foundations built throughout the publics. In this respect, Zebracki et al. (2010) speak of ‘public artopia’, where public art is a domain and practice of various under-researched claims about what art ‘does’ to people and places. Such claims “reflect public art’s notional, potentially fetishised, and ill-defined geographical contextuality” (ibid. : 786). We try to go beyond public artopia by addressing the lived experiences of the publics, namely the users and consumers of public art’s intended space. This paper deals with three questions: Who can be considered the publics of public art? How do the publics perceive public art itself and public art in relation to its site? And to what extent do we see differences in their perceptions of the ‘spatial quality’, or rather attractiveness of the public artwork and its site? These questions are relevant in that, as stressed, both the publics and the site are substantial parts of the content and the intended effects and meanings of the public artwork. Public art, in its spaces of production, writes on the symbolic landscape of cities (Cosgrove and Daniels 1988), while it is read and rewritten by its publics in particularly situated and articulated spaces and times (cf. Haraway 1991). On the basis of surveys at a number of public-artwork localities in the Netherlands and Flanders, we endeavour to show the very situatedness of publics’ perceptions of public art. In the following section, we outline previous research on public-art perception. The subsequent section attends to our expectations and how we assembled our empirical data, and is followed by a presentation of the empirical findings. This paper concludes with a discussion of the results and their implications for urban policy. Practically no systematic research has been carried out on the perceptions of public art’s very publics. As within public-art evaluation in general, this bears on reasons of scarcity of funding, the unquestioning and common acceptance of public art, existing doubts about social-science criteria in public-art evaluation and the ‘so what?’ question of evaluating public art in the first place (Hall and Robertson 2001; Zebracki et al. 2010). For all that, here we try to digest previous research with the aim of conceptualising the notion of ‘publics’ and identifying the attributes of public art and its publics that we consider pertinent to our study. We consciously pluralise public art’s assumed social audience as ‘publics’ (cf. McClellan 2003). Doezema and Hargrove (1977) inform about the multifariousness of the ‘public’ as follows: “‘public’ means ‘pertaining to the people of a country or locality’; further, ‘done or made by or on behalf of the community as a whole’, and ‘open to general observation’ … [The] word ‘public’ suggests a wide audience” (Doezema and Hargrove 1977: 5–9). The idiosyncratic nature of public art’s publics is that the bulk of them are undirected observers in the open urban field. This is in sharp contrast with the ‘directed’, namely specific, publics that voluntarily choose to visit and enjoy culture and arts venues. In the vein of Habermas (1991), the wide audience implied by publics does not amount to an epistemological tabula rasa; it cannot simply be neutralised (cf. Staeheli and Mitchell 2007). The concept of ‘publics’ is brittle in that the everyday experiences of the polymorphic publics set up a ‘way of seeing’ that makes them inherently an openly agonistic, critical audience, a Publikum according to Habermas (1991). This Publikum embodies the purpose of public art. Publikum generally means Öffentlichkeit, denoting assorted meanings of ‘(the) public’, ‘public sphere’ or ‘publicity’. And it can be brought out into the open in the political sphere (political realm), literary sphere (world of letters) and/or ‘representative publicness’ (representational space) (Habermas 1991: xv). Hence, the Publikum signifies and differentiates the publics’ settings of everyday practices and meaning-making (cf. De Certeau 1984), and relates to agency-oriented, embodied and performative approaches towards the concept of the public realm (cf. Thrift 2008). 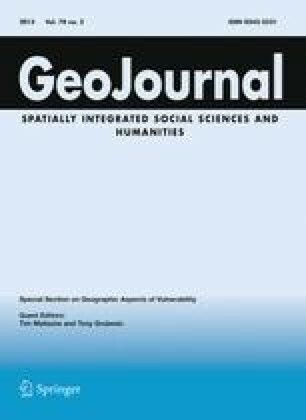 This paper focuses on the Publikum’s representational space in terms of publics’ perceptions. Public art is supposed to communicate in a polyinterpretable sense. Thereby, as indicated by Doezema and Hargrove (1977), its success is measured by its ability to soundly convey physical and mental images, namely representations, and elicit responses, which are multifaceted by their very nature. These responses import actions and reactions, and therewithal perceptions in terms of mental reception, detachment or rejection of the public artwork. Over the past decades, there has been a significantly revitalised academic interest among cultural geographers in representations at the theoretical–philosophical level on the one hand, and daily perceptions at the empirical level on the other (e.g. Tuan 1977; Hall 1997; Duncan et al. 2008). Since the cultural turn, ‘meaning’ has become vital to the definition of the cultural landscape (Hall 1997). Representational thoughts, focusing on the what, namely landscape as text, have recently been paralleled by non-representational reactions, focusing on the how, namely landscape as embodied process of meaning-making (cf. Thrift 2008). As various bodies of literature are not discussing the same nomenclature of representation and experience of space and place, it is hard to theorise perception in relation to public art. In her theorisation of public art, Cartiere (2010) notably states that “place is not merely the categorisation of a specific kind of space, but also a function of personal perspective and individual relationship to space” (ibid. : 34), which as such entails both the what and the how: a mental representation and functional embodiment of place identity. There is little empirical evidence of what attributes are important to public-art perception, specifically in terms of perceived attractiveness of the public-artwork locality. As an anomaly, Hall and Smith (2005) have formulated a research agenda for revealing urban residents’ responses to public art and the way public art is spaced in the quotidian lives of these residents. Nevertheless, they, and also the analogous attempts by Landry et al. (1996); Matarasso (1996, 1997) and Remesar (2005), provide or indicate attributes neither of the publics nor of the public artwork and its direct environment (i.e. site), which are assumed to be relevant to their suggested research. But we can draw five attributes that are important to our study from only a few public-art studies in the field of sociology and cultural studies, and from some contextual studies on perceptions of space and place, which are typical of an environmental psychology approach. The first two attributes are related to personal characteristics of the publics: educational background and familiarity with the public artwork. The publics’ perception of the public artwork and its site varies according to the remaining three attributes: appropriateness (degree of suitability), sociableness (degree of invitingness to meet) and meaningfulness (degree of inciting symbolic interpretations and place memories). First, educational background is relevant to public-art perception. In human–geographical research on perception, much attention is paid to how the ‘real’ world is directly or indirectly read as an environmental message and filtered through the perceiver’s senses, brain and personality, and culture, being attitudes, norms and values that are derived from the perceiver’s cultural background and competences (see also Golledge and Stimpson 1987). Previous research by Ganzeboom (1982a, b; see information and status theory), Bourdieu (1984) and Blokland (1997) signify that the foremost indicator of the cultural background and competences of the publics is educational background. Second, we may argue that the publics’ familiarity with the public artwork, and their interest in art, matter where their perceptions of public art are concerned. Blokland’s (1997) theorem runs that the publics’ autonomous choice of the extent to which they give culture and the arts a prominent place in their lives, depends on thorough acquaintance with and interest in them. Analogously, from Ganzeboom (1982a, b) we may infer that the publics’ familiarity with the public artwork in relation to its site, guides a certain pronounced intrinsic and extrinsic appreciation of—at least no entire indifference regarding—the public-artwork site as a whole (see also Selwood 1995; Reeves 2002). Here, it is relevant to know the frequency of visiting or traversing the public-artwork locality, as we have inferred from Selwood (1995) and Ward Thompson et al. (2005), one of the few empirical studies on hand as regards perceptions of public art in particular. Third, the perceived match between artwork and place is relevant. Here, the question is begged to what extent the public artwork and its site, i.e. its immediate proximity, are perceived as suitable to each other (see also Knight 2002; Kwon 2004). Several broad conceptual studies on perceptions of space and place (e.g. Coeterier 1996; Hubbard 1996; Hooimeijer et al. 2001; Sevenant and Antrop 2009) and the plethora of non-theoretically informed public-art evaluations found in city reports, which are often produced from the perspective of planners and public-art producers, indicate the centrality of physicalities in perceptions with regard to the appropriateness of spatial elements. Yet, the spatial context of the physicalities is very weakly operationalised in literature and explicated by publics’ perceptions in prior empirical research. On the latter, one of Selwood’s (1995) case studies notably conveys that “[public responses] included the assumption that art is manifest in objects per se … it should be attractive, appropriate, inoffensive and give pleasure rather than being ‘challenging’ or stimulating; it should be figurative rather than abstract or conceptual; its value should be represented by the material from which it is produced—bronze, for instance, rather than fiberglass” (ibid. : 249). This quote bespeaks that the public responses did not express and articulate the relationship between the artefact and its locality. Fourth, the empirical studies by Massey and Rose (2003) and Sharp et al. (2005) let us gather the attribute of sociableness of public art for our research. Both studies try to understand perceptions of public art from its openness, in terms of being a meeting place. According to Massey and Rose (2003), the collaborative nature of public-art projects poses the challenge of negotiating social differences. As in its turn it is often seen as a challenge to urban regeneration (e.g. Sharp et al. 2005), public art may be intending to create inclusive meeting places, assumed to be helpful for negotiating these differences. Is the public-artwork locality perceived as more attractive when it is seen as such a venue? Fifth, although the work of Selwood (1995) and Ward Thompson et al. (2005) primarily includes public-art perceptions from UK urban-policy perspective, they show the importance of public art’s meaningfulness in publics’ engagement with it. Their studies indicate that the perceived attractiveness of the public artwork and its site also seems to rest on the narrative and commemorative power that the public artwork possesses for the beholder. Do people see a deeper meaning in the artwork? And does the artwork arouse memories of the site? If the answer is yes, publics reveal more overall appreciation of the public-artwork locality. We conclude that a basal notion of proximity matters in public-art perception. Proximity is important, seeing that the closer a person’s cognition, spatial use and familiarity, aesthetic acceptance (in terms of perceived appropriateness), social appropriation and attributed meaning regarding the public artwork and its place, the more the artwork and place will affect him/her, either in a positive or negative way (see also the study on residents’ perceptions towards flagship waterfront regeneration in Doucet et al. 2010). It is self-evident that the relationships between the proximities constitute an interwoven fabric of perception. Our research was guided by various expectations about the perceived attractiveness of the public artwork and its site. Hereby we try to stress the relationships between proximities, which we consider the most important on the basis of literature. First, we expected that those who have higher developed cultural competences and visual literacy as reflected by education level, appreciate the public artwork in situ more positively than their counterparts, i.e. the less educated. This expectation mainly indicates the relevance of publics’ cognitive proximity to, and thus interest in, the public artwork. Second, we assumed a relationship between the frequency of visiting the public artwork’s site and the familiarity with the public artwork. We believed that the publics appreciate the artwork more positively when their frequency of visiting the site has triggered their becoming acquainted with the public artwork. Hence, those who are more familiar with the public artwork are likely to appreciate the artwork more than those who are not familiar with it. This expectation mainly denotes the relevance of publics’ spatial proximity to the public artwork. Last, we formulated expectations about the relations between publics’ cognitive and spatial proximity, and their perceived ‘aesthetic proximity’,2 social proximity and symbolic proximity regarding the artwork and its site. In that order, we thought that people who are higher educated and more familiar with the public-artwork site are likely to appreciate the public artwork and its site more in three ways: according to their appropriateness to each other; in terms of meeting place, hence translating the artwork into social reference points; and according to the deeper meanings and place memories that the artwork arouses. The nature of this research was exploratory and impressionistic, as there is a considerable lack of parameters of public-art perception. We performed case-study research (cf. Yin 2008) on 6 contemporary public artworks in Amsterdam and Rotterdam (The Netherlands) and in Antwerp and Ghent (Flanders, Belgium) (Figs. 1, 2). These artworks, although they are contemporary, deliberately represent six public-artwork categories that, as showcased by Zebracki (2011), cover the diversity of public-art production in the Netherlands and Flanders since 1945. From April through June 2009, we conducted 1,111 street surveys proportionally allocated over the six public-artwork localities. Herein the surveys offered ‘opportunities to learn’ (Stake 2000) about publics’ first impressions of public art. This empirically grounded approach (Barnes and Hannah 2001) allowed us to build on theoretical templates of public-art perception. Thus, the exemplary case studies enabled us to look theoretically and, in terms of learning moments, beyond our examined situations at other situations, that is, to make ‘analytic generalisations’ (Yin 2008; see also retroduction approach in Ragin 1994). On this note, as the selected localities include the diversity of public artworks in the Netherlands and Flanders since 1945, the research findings also cautiously induce insights into an overall perception of the evolution of public art in this period. In the field, we first observed the users of public space so that we could characterise them in view of survey-quota sampling, as no sampling frames were available beforehand (cf. Maisel and Persell 1996). Quota sampling ensured sufficient cases in every cohort and a proportional male–female ratio. We tried to cope with quota sampling’s inevitable limitations in terms of research representativeness and reliability by surveying at different points in time and site conditions. As such, we were enabled to survey sundry, everyday types of the publics. The questionnaire, preceded by pilot studies, covered structured items, including statements on a five-point Likert scale. Foremost, the respondents had to give scores on a 0–10 attractiveness scale, a commonly applied research scale and instrument in perception research, to the public artwork and its site. The survey also included open questions for describing the work and site. In the initial part of the survey we did not tell the respondents that public art played a part in the research in order to preclude public-art biased views at the onset. We employed a quantitative approach to publics’ first impressions of public art, and we used the interpretative practice of hermeneutics (Duncan et al. 2008) in our understanding of the obtained data: “the meaning(s) of numbers cannot be separated from the situations they are meant to represent or from the processes that produced them” (Schwanen and De Jong 2008: 575, emphasis added; see also Haraway 1991). The public artworks of empirical investigation were ‘Video Wall’, ‘Monument for Antony Winkler Prins’, ‘Sculpture Terrace’, ‘The Hand’, ‘Blind Wall’, and ‘Merging between Lys and Scheldt River’. ‘Video Wall’ (2007, official title: ‘Video Screen CasZuidas’) is an installation work displaying video art for about 80% of the day; according to its initiators, Virtual Museum Zuidas and Foundation Art and Public Space, it is the only urban screen in the world that does so. Video Wall is located in a central square in the Amsterdam Zuidas business district. By contrast, ‘Monument for Antony Winkler Prins’ (1970), here abbreviated as ‘Winkler Prins Monument’, is a tall, cylindrical, modernistic pillar monument, situated in a small inner-city park in Amsterdam. The monument is named after the Dutch writer and vicar Antony Winkler Prins (1817–1908), who is mainly known for the Dutch encyclopaedia that is named after him. ‘Sculpture Terrace’ (1999) is a group of fairly abstract sculptures made by diverse renowned artists. The ‘terrace’ is part of a boulevard strip designated as the cultural axis of Rotterdam. ‘The Hand’ (1986), the city-marketing symbol of Antwerp (Antwerpen—the Dutch spelling of the name—is popularly–etymologically noted for ‘hand throwing’), resembles the urban centrality of Rotterdam’s Sculpture Terrace; it is situated in a lively shopping plaza in Antwerp. Moreover, it is a figurative sculpture that also acts as street furniture: one can literally lie down in the hand. ‘Blind Wall’ (2008; this artwork, officially untitled, had been embedded in the city of Ghent’s broader project called ‘Blind Walls’, 2006–2008) comprises a more intimate locality, as it is a delicate figurative wall painting in an inner-city neighbourhood courtyard in Ghent. It depicts a flower-patterned motif intended to symbolise Flemish wallpaper, as the artist Michael Lin informed us at the unveiling of the artwork (note that the surveys were not conducted during the unveiling). Another Ghent-based artwork titled ‘Merging between Lys and Scheldt River’ (1999; here abbreviated as ‘Lys-Scheldt sculpture’) is an abstract monument with an integrated fountain. It is located in a traffic junction square adjacent to Ghent’s central public transport station, which is characterised by intense flows of public transport and passers-by. Of the publics, 56% lived in the city where the survey took place. About one-third of the respondents visit the public-artwork site daily, one-fifth weekly and the remainder less often. A considerable proportion (77%) said they were familiar with the specific artworks under discussion, and roughly half (46%) said they were familiar with public artworks in the city in general. The publics generally indicated that noticeable peculiarities of the public artworks are shape (28%), size (22%) and their location (13%). Our visual and content analysis of the publics’ perceptions resulted in a general spatial typology of the selected public artworks and their sites, as shown in Table 1. This table provides variations in types of public artwork and types of site. Moreover, it conveys the publics’ overall perceptions both of the public artwork and of its site (i.e. direct environment), in a qualitative and a quantitative sense. We formulate four generic findings from Table 1. First, the publics’ perceptions were slightly more positive with regard to the site than to the public artwork: the scores average 6.2 for the public artwork and 6.9 for its site. In qualitative terms, the environment of the Lys-Scheldt sculpture in Ghent was broadly seen as attractive in terms of ‘green’ and ‘quiet’ against the backdrop of the central station, whereas the sculpture itself was regarded a misfit. Many respondents indicated that this artwork is aesthetically dreary and hard to decipher. As an anomaly, we also found that the score for Blind Wall was rather more than one point higher than that for the site. This is not surprising, as the mural cheers up a rather downgraded urban area. Second, the publics’ appreciation scores differ significantly between localities and artworks (ANOVA, p < 0.05). Notwithstanding, the scores for the attractiveness of both public artworks (6.2) and sites (6.9) are moderate, neither unreservedly positive nor unreservedly negative. They respectively indicate a sufficient to a somewhat satisfactory attractiveness score: 45% considered the artwork ‘beautiful’, 31% did not consider it ‘beautiful’ and 24% were uncommitted. Moreover, a considerable proportion (45%) genuinely believed that the public artwork contributes to the quality of the site in some way, but a larger group (46%) took no side in this. These figures probably indicate, compared to planners’ and artists’ ambitions, a quite disappointing appreciation of artworks and art-context interactions. Furthermore, the appreciation scores do not necessarily match the publics’ qualitative perceptions of artwork and places. This is especially the case regarding the public artworks themselves. The appreciation score for Blind Wall’s site, for example, does not reflect the publics’ positive qualification of this site as ‘tranquil’ and ‘green’. That is to say, the general publics’ perception of this work’s environment paradoxically indicates a higher score than its actual given score, particularly in comparison with the other public-artwork localities. Third, the publics’ qualitative perceptions in catchwords denote that the public artworks themselves are predominantly characterised in a physical–morphological way (e.g. ‘large’ in the case of Video Wall, and ‘big’ in regard to The Hand). The public artwork’s site is generally also distinguished by physical–morphological elements, and by functional aspects such as ‘businesslike’ in the case of Video Wall’s square. On the other hand, we come across terms like ‘cosy’ for The Hand’s plaza and ‘tranquil’ for Blind Wall’s neighbourhood courtyard, which particularly designate the atmosphere of the sites. Fourth, our study revealed that decorative–figurative, that is rather more conventional, public artworks were generally perceived more positively than abstract works. These abstract works seemed to trigger interaction with the publics to no avail. The affective perception diagram in Fig. 3 shows that especially Winkler Prins Monument and Blind Wall stand out in that respect, respectively for being instinctively perceived quite negatively by 39% and quite positively by 75% of the publics in situ. Here, a negative feeling could imply either a total rejection of the artwork or an agreement on its perceived disturbing quality. Nevertheless, we found quite mixed, balanced feelings towards Winkler Prins Monument: 30% of the interviewed publics conveyed a positive feeling towards this artwork. But more or less the same proportion (32%) did not know what to think about it, in other words were neutral (neither positive nor negative). Moreover, Sculpture Terrace expresses, like Winkler Prins Monument, a rather elusive visual language, but for this abstract sculpture group we found a considerably more positive picture. It is likely that a more positive appreciation of Sculpture Terrace relates to its ensemble character. That is to say, here the publics based their judgement not on a single object but on a decorative ensemble, artworks lined up along a boulevard strip, from which a higher overall perceived attractiveness can be understood. What do the figures look like when we situate them within the afore-identified publics’ proximities? First, as regards cognitive proximity, we broadly did not find a significant relationship between the publics’ educational background3 and the perceived overall attractiveness for both the public artwork and its site: 58% of the primarily indigenous, Dutch-speaking respondents reported to be higher-educated, 15% middle-educated and 24% lower-educated (remaining 3%: other and missing values). As depicted by Fig. 4, we found that, irrespective of educational background, the publics generally attributed more or less the same appreciation scores to the artwork (6) and its site (7). But when we look at the average publics’ general interest in art (5.9 for lower-educated, 6.5 for middle-educated, 7.1 for higher-educated), we see a significant difference between the educational levels (Bonferroni multiple comparisons post-hoc test), something that is apparently not reflected in their appreciation of ‘our’ six artworks and sites. the degree to which the artwork in situ has ‘meaning’ to the individual (symbolic proximity). As regards the artwork itself, we generally found no significant relationships between the publics’ cognitive proximity and the aesthetic and symbolic proximity. Yet, we noticed that lower-educated respondents assessed the artwork more positively in terms of its role as a meeting point (V = 0.10, p < 0.05). Hence, we found that the higher the level of education, the less attachment was shown to the artwork in a social respect. With regard to the artwork’s site, we found a significant relationship of the same nature between educational background and social proximity (V = 0.10, p < 0.05), and between educational background and the extent to which the artwork conveys meaning, in positive, neutral or negative terms, about the place where it is situated (V = 0.10, p < 0.05). Here, we could see that the higher a person’s level of education, the more he/she is able to ‘read’ the artwork in relation to the site. Furthermore, we found a significant, moderately strong interrelationship (V = 0.34, p < 0.05) between the publics’ spatial use, reflected by their frequency of visiting the site, and their familiarity with the public artwork. The more often one visits a site, the more familiar one becomes with the public artwork. We also related publics’ familiarity with the artwork locality, in our case regarded as spatial proximity, to their aesthetic, social and symbolic proximity towards the artwork and site. We found that publics who stated they were familiar with the public artwork (and thus were acquainted with the work prior to the survey), are likely to assess the public artwork more positively in terms of its appropriateness to its site, and vice versa, than those who were not familiar with the work (V = 0.16, p < 0.05). Generally, 66% of the respondents agreed with the statement that the public artwork suits the site, while 19% did not. Those who were familiar with the artwork did not necessarily assess the public artwork more positively as a place to meet. Of the respondents, 15% reported to use the public artwork itself as meeting point, and 32% to use the public-artwork site as meeting place. We found a significant correlation between spatial proximity to the artwork and social proximity to its site (V = 0.12, p < 0.05). That is to say, the respondents who were familiar with the public artwork conceived of the site as meeting place more than those who were not familiar with it. This finding is quite distinct and should be put into perspective as the artwork could plausibly be taken as a social point of reference of the site. Moreover, it would be improbable to use the artwork as a place to meet without being familiar with it. Furthermore, we found that people who were familiar with the artwork locality assessed both the public artwork and its site more positively in terms of meaning than the unfamiliar publics (respectively V = 0.15, 0.16, p < 0.05). Although the symbolic distance was large, seeing that only a few respondents (11%) could articulate some meaning of the artwork, for one-fifth of the respondents the public artwork took on a deeper felt meaning. We also looked at the individual relationships between educational background (contemplated as cognitive proximity to art) and the aesthetic, social and symbolic proximity to the artwork and site within the public-artwork localities. We found only non-significant associations, barring the significant cognitive–symbolic proximity for Video Wall as such (V = 0.23, p < 0.05). The Wall imparted more meaning to higher-educated than lower-educated respondents. Regarding the perception of the public artwork’s site, we found significant relationships between cognitive and social proximity for Blind Wall (V = 0.25, p < 0.05) and the Lys-Scheldt sculpture (V = 0.20, p < 0.05). For both sites goes that lower-educated people emphasised the value of the public-artwork site more as meeting place than the higher-educated respondents. For the individual relationships between publics’ familiarity (considered spatial proximity) and aesthetic, social and symbolic proximity within the public-artwork localities, we discerned some significant associations. We noted that people who were familiar with Blind Wall were more likely to find that this work and its site match (V = 0.26, p < 0.05) and to see the artwork itself as a place to meet (V = 0.26, p < 0.05). Those who were familiar with The Hand and Blind Wall logically perceived their sites more as meeting places than those who were unfamiliar with the two artworks (respectively V = 0.22, 0.30, p < 0.05). Moreover, the respondents who were familiar with Winkler Prins Monument, The Hand, Blind Wall and the Lys-Scheldt sculpture, attributed significantly more meaning to the public-artwork localities than respondents who were not conversant with these artworks (respectively V = 0.27, 0.24, 0.30, 0.24, p < 0.05). We furthermore found that publics’ aesthetic, social and symbolic proximity to the public-artwork locality differed significantly among the localities (Kruskall–Wallis test, p < 0.05). Overall findings of some particular statements can, as the final part of this empirical section, provide some further differentiation between the public-artwork localities for the three proximities concerned. Figure 5 reveals more about the extent to which the publics believed the artwork and its site suit each other, which conveys the publics’ aesthetic proximity to the public-artwork locality. The differences in perceptions are significant among the localities. Nevertheless, it is striking that the perceptions in this light are unprecedentedly positive, mainly for Sculpture Terrace (see previous remark about its perceived ensemble character): 81% of the respondents thought that the sculpture group and site go well together. Paradoxically, 49% of the respondents considered sound the match between the abstruse and generally quite negatively assessed Winkler Prins Monument artwork and its wooded surroundings. Figure 6 shows a significant difference in social proximity between the localities. We found that especially The Hand and the Lys-Scheldt sculpture are perceived as meeting points, in sharp contrast with Video Wall and Winkler Prins Monument. The relatively low score for Sculpture Terrace can be understood from its ensemble nature and the principal functionality inherent in this particular site: an urban passageway. Figure 7 signals the publics’ symbolic proximity to the various public-artwork localities. It shows the extent to which respondents believed that the artwork arouses memories of its direct environment. There is a significantly modest relationship between the elicited memories and the public-artwork localities, although the public artworks’ commemorative triggers seemed to be minor: on average, only about one-fifth of the respondents acknowledged that the artwork is producing memories of its vicinity. In their perceived meaningfulness, Blind Wall and Sculpture Terrace took a small lead, together with Winkler Prins Monument, which may be intelligible from its function as monument. And remarkably, The Hand, the city-marketing symbol of Antwerp, did not seem to find itself in the mind of the publics that much. To conclude, the elicited memories were frequently unreservedly positive or negative, and sometimes the open survey field for remarks captured such memories. Saliently, a personal anecdote of a senior woman conveyed the following regarding The Hand: “This hand reminds me of the beating I got at home a long time ago. Since the work has been here, it’s given the place a completely new meaning” (she looked disheartened). By making this open-hearted comment, the woman implicitly revealed that the public artwork, regardless of the intentions of its creators and planners, is produced and iteratively reproduced in her very perception of it. In this case, the artwork symbolically surmounted the particular site by becoming situated within this person’s life course. All in all, ars est celare artem (it is art to conceal art), but not as we know it. There is more beyond the object. This study took on an exploratory, pioneering approach and tried to contribute to the field of cultural geography and in particular geographies of art, an emerging subject, by its overarching look at the ways in which space is creatively impacted on by means of public art, as seen through its publics. We identified a serious knowledge gap in research on public-art perception (cf. Hall and Robertson 2001). The novelty of this research lies in its explicit focus on publics shaping public-art spaces and representations; hitherto, exactly this ‘receiving end’ of public art has been sidelined or neglected by scholars. We first wondered who the publics are and to what extent we find differences in their perceptions of the attractiveness of public artworks and their sites. We then presented the method of case-study research (Yin 2008); we conducted surveys at the sites of six public artworks in Amsterdam, Rotterdam, Antwerp and Ghent. Evidently, the surveys incited situated knowledges (cf. Haraway 1991) in that they were open to generate interpretations in different ways by different people in particular space and time frames. As to defining who the publics are—according to whom in a particular place and time and for what reason—, it is important to acknowledge and to keep at the back of our minds that publics in public space are by nature a random hence non-directed audience of public art, as they are generally not intentionally viewing it. When we addressed them to a certain artwork and its surrounding area, they were usually unfeignedly confronted with this and forced to express a view: they must think something about it. These publics may therefore be seen as a reinforced critical audience (cf. Habermas 1991). We have heard a plethora of opinions about public art, and they varied between the aesthetic, social and cultural-symbolic roles of art in interrelation to its site. Sometimes the publics stressed the multiplicity of the examined artworks and their sites; for instance, some conjunctly valued the artwork and its site as such as an aesthetic experience and a meeting place. Nevertheless, on the whole, the publics’ perceptions were expressed in platitudes. Here, it is an understatement to say that the publics did not decide on a critical and evocative attitude to public art. On the contrary, where the artworks are intended and likely to invite a profound discussion about the artworks per se and their relation to the dynamics of the environment, the publics generally came across as moderately engaged in this or at times could not even form an opinion at all, which is a finding provoking some kind of an aha-erlebnis for us. Here, it is interesting to refer to Bourdieu (1984), who conveyed that whether people liked a particular artwork or not was less interesting than whether or not they could hold a view at all. He found that the ones who could not work up a judgement of the aesthetic merits of cultural artefacts—particularly because they often considered themselves not qualified to judge what they knew to be a piece of fine art—were the most interesting results of his research. Another general take-out message from our study is that interpreting the relationships between publics’ perceptions of the artwork and their perceptions of the site is very convoluted, as it is hard to disentangle to what extent the perceptions are shaped by the whole (the site itself) and by the part (the artwork in and of itself) (see the notion of holon as referred to by Coeterier 1996). Both the researchers and those being researched squarely faced this issue. Nonetheless, as to the publics’ body of thought, we broadly observed that the appreciation of the site foregrounds their appreciation of the artwork as such. That is to say, sites score more highly on average suggesting that more favourable environments may provide a backdrop for public art which affects, to some degree, the extent to which an artwork is appreciated. Furthermore, our results show that the distinct localities do significantly affect, and therefore, situate, the publics’ perceptions. Besides, the publics’ perceptions were mostly more positive with regard to the site than to the public artwork itself, and they were neither unreservedly positive nor unreservedly negative. The publics’ perceptions generally stressed the physicalities of both the public artwork and its environment. And the publics perceived rather more figurative, conventional public artworks more positively than abstract works. The last two findings back up the empirical work by Selwood (1995). Moreover, saliently to say here is that all examined artworks seemed to have led to more or less the same result of public acceptance. The question for further studies could therefore be if the kind of public artwork matters at all or just that it is presented in urban public space. This study tried to gain new insight by developing a geographical ‘art vocabulary’ (Cant and Morris 2006) about publics’ pertinent proximities to art and its environment and the relationships between these proximities, where we have empirically assessed the extent to which assumptions in literature can be borne out. We related the publics’ educational background (cognitive proximity to art) and familiarity with the artwork locality (regarded as spatial proximity) to the extent to which the artwork and site are perceived as suitable for each other (what we term as aesthetic proximity), as a place to meet (social proximity) and as meaningful (symbolic proximity). We found that these proximities differed significantly among the examined localities. Broadly, we did not find a significant relationship between the publics’ educational background and the perceived overall attractiveness of both the public artwork and its site, which contradicts comparable studies by for example Ganzeboom (1982a, b). We observed a significant, moderately strong interrelationship between the publics’ spatial use, reflected by their frequency of visiting the site, and the familiarity with the public artwork. Moreover, we found that publics who indicated they were familiar with the public artwork, and were thus acquainted with the work prior to the survey, assessed the public artwork more positively in terms of its appropriateness to its site, and vice versa, and in terms of meaningfulness; the latter is to say: what does the artwork, according to the beholder, want to say about the place for which it was planned and what does the place convey about the artwork? Our preliminary, impressionistic snapshots in time and space require further solid contextually-based empirical research (cf. Zebracki 2012). The art of similar research “lies in ensuring that the measurable does not drive out the immeasurable” (The Audit Commission 1992, quoted in Matarasso 1996: 15). This deliberate research should situate publics’ perceptions of the reciprocal relationships between particular places and artworks in particular moments, which produces a non-generalisable epistemology of this matter (see also Haraway 1991). The implication of our study is that we have to recapitulate literature on public-art perception more critically where the assumed impact of public art on its very publics is concerned (see notion of public artopia in Zebracki et al. 2010). Professionals who trigger and direct public artworks and public-art-led planning projects should critically consider the relation of the perceptual differences in the publics to socio-spatial differences in existing or intended public-art localities. Thus, future research should further unravel lived experiences of public art, that is to say the relationships between different classes of artworks, sites, patrons and publics in space and time, and as such spatiotemporally different registers of public-art perception. Such space- and time-specific awareness of the sundry publics is essential to public art, as the publics, site as well as the time frame are of paramount importance to the content of public art. In so doing, a more animating future of art in the city becomes a less distant prospect. The ‘public artscape’ can be understood in this socio-symbolic sense, but also in a physical–morphological dimension of the urban landscape (cf. Zebracki 2011). We are aware of the fact that ‘aesthetic’ does not completely cover ‘appropriateness’, but this word is a useful alternative shorthand. Differences in education system between the Netherlands and Flanders are taken into account. We should like to thank our students for assisting in surveying, and the respondents for their responses and insights. This work was funded by the Urban and Regional research centre Utrecht (URU), Utrecht University, the Netherlands. Zebracki, M. (2011). Does cultural policy matter in public-art production? The Netherlands and Flanders compared, 1945-present. Environment and Planning A. doi: 10.1068/a44215.